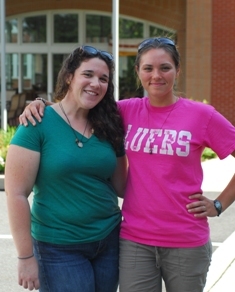 The Bernardine Franciscan Sisters offer a service year opportunity to volunteers to work with and for the Sisters. Volunteers not only have the opportunity to serve in the community with the Sisters, but are able to partake in their own spiritual journey. 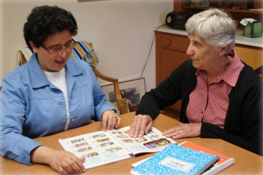 Volunteers have the opportunity to work with the Bernardine Franciscan Sisters at the newly created resource center, which offers ESL classes, GED tutoring, and citizenship classes. Requirement: teaching or educational background. Bilingual a plus. Besides the many benefits of service, volunteers have the opportunity to interact with gracious, grateful, and inspiring learners.